These pages of sketches show my exploration of aspects of the criminal justice system, a comparison of the disciplines and output of behavioral science and design, and some ideation around architecture/product design that would communicate the strength and stability afforded by collaboration—and a bunch of other stuff. I served on a grand jury in June 2016. It was an incredibly interesting but rather troubling experience. One of the most surprising things about the process was how little instruction we received on how to deliberate or take a vote. We ended up raising our hands to vote, and indicting in almost every case. To reduce the bias towards certain verdicts and minimize the pressure of social proof that exists in that scenario, I designed an app that jury members would use to submit their vote. This would not only ensure that they took each vote seriously, but would provide a way to collect information that might prevent wrongful indictments (e.g. if there were many abstentions). 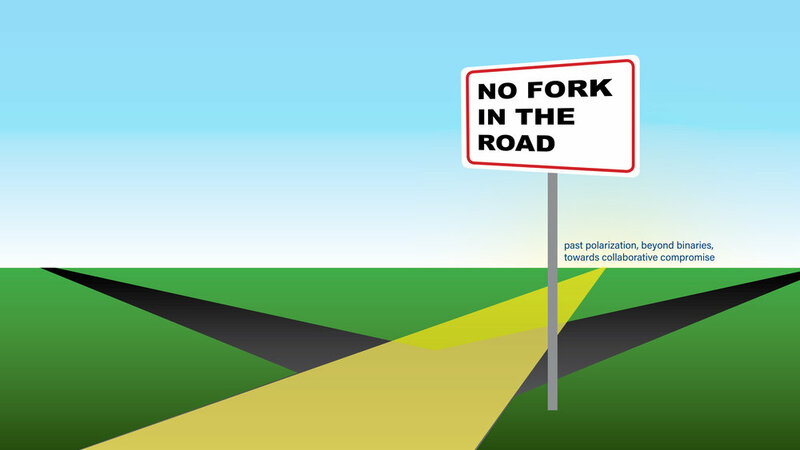 The app is informed by several behavioral principles and findings, such as the increased honesty induced by signing first, and introducing friction rather than setting defaults. Learning about behavioral science principles and methodology this summer made me very aware of some shortcomings of design research. One of the biggest missed opportunities I see is that designers generally don't share their research findings, let alone their raw data. This is understandable, as much of design is done on behalf of clients and within strict terms, but it means that the design community is not able to build a base of knowledge as effectively or efficiently. 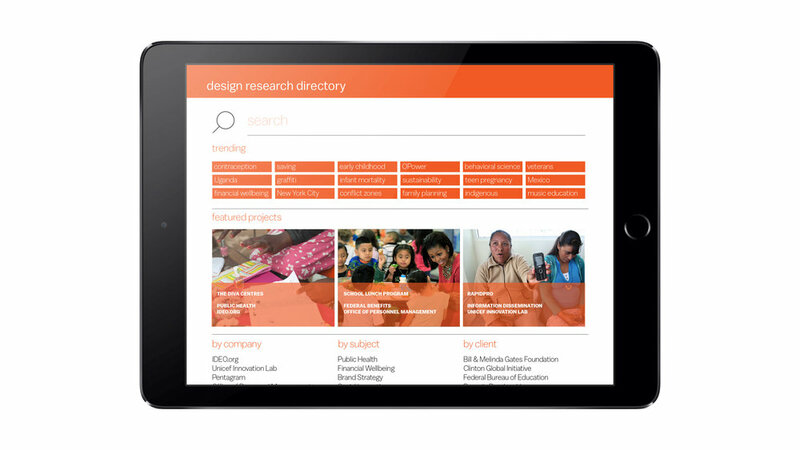 To begin to respond to this need, I designed a "design research directory," which would not only aggregate design research from different companies and organizations (starting with projects funded by foundations or in the social good sector), but offer a specific framework for reporting and recording the research, akin to the standardization of scientific papers in journals. I came up with three potential titles for my thesis—none of which are quite right yet. "Hacking Human Nature" was inspired by Common Cents tagline "Hacking Human Behavior," and was well-received. 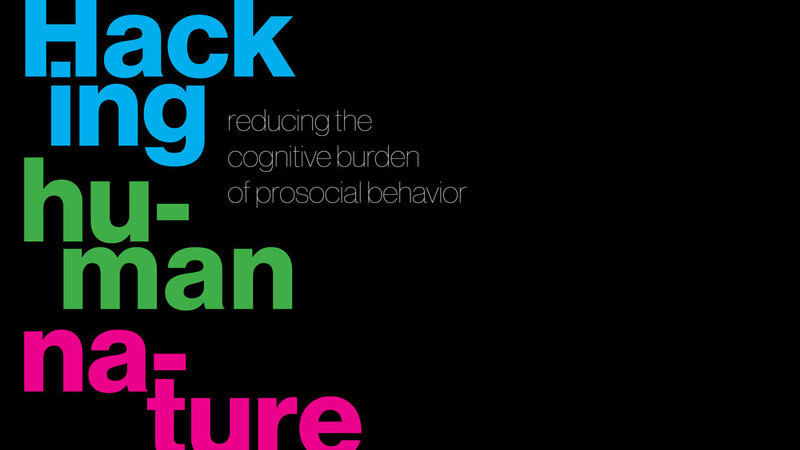 The idea of "reducing the cognitive burden of prosocial behavior" resonates with me. I'm going to do more and worry less. I'm going to follow my curiosity and attack my findings with vigor. I have also decided that everything I do is for my thesis, which means I can do whatever I want to do, as long as I pay attention. After all, If I'm not having fun, I'm doing it wrong.